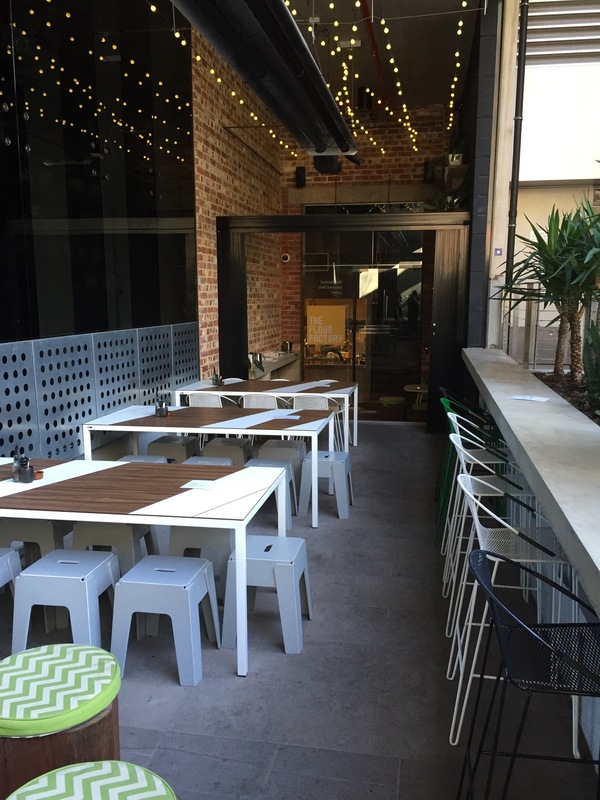 Next to the ever cool Kate and Abel store, and tucked into the side of Raine Square you’ll find one of the hottest new eateries in Perth, The Flour Factory. The space is uniquely beautiful, wrapping around and under the building. Coming through the outside tables it opens into the counter and bakery space with delicious treats as far as the eye can see. 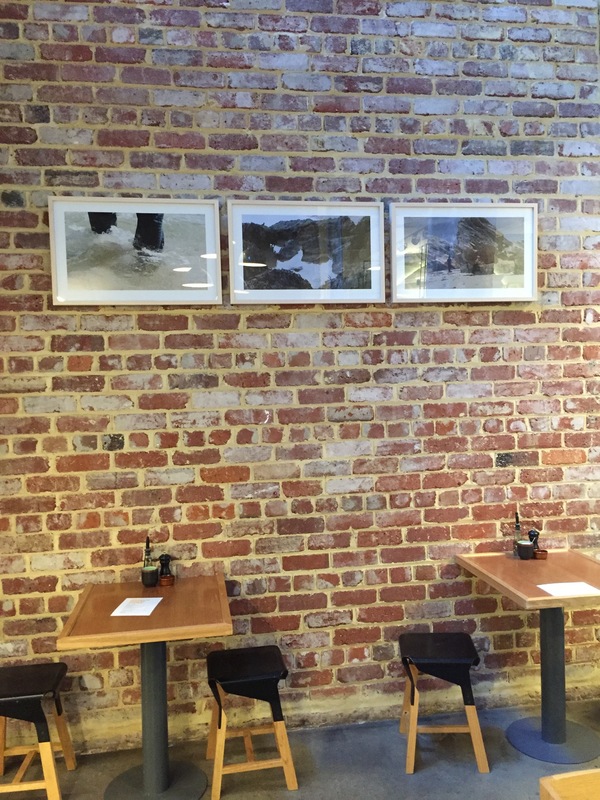 The cafe has bare red brick walls and simple furniture, but still feels warm and comfortable. 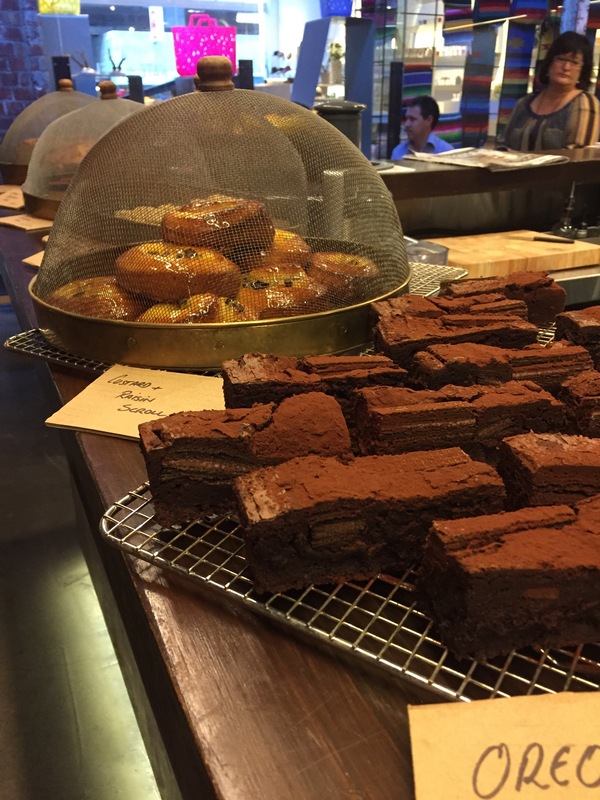 The Flour Factory would be great for catch ups, coffee on the go, or even a sweet treat. It’s open from breakfast to dinner, and there’s table service too. We started with coffees, trying their Five Senses single origin. After chatting with the barista it’s clear they love their coffee, and do everything they can to ensure each cup is perfect, including checking the weight of every one. 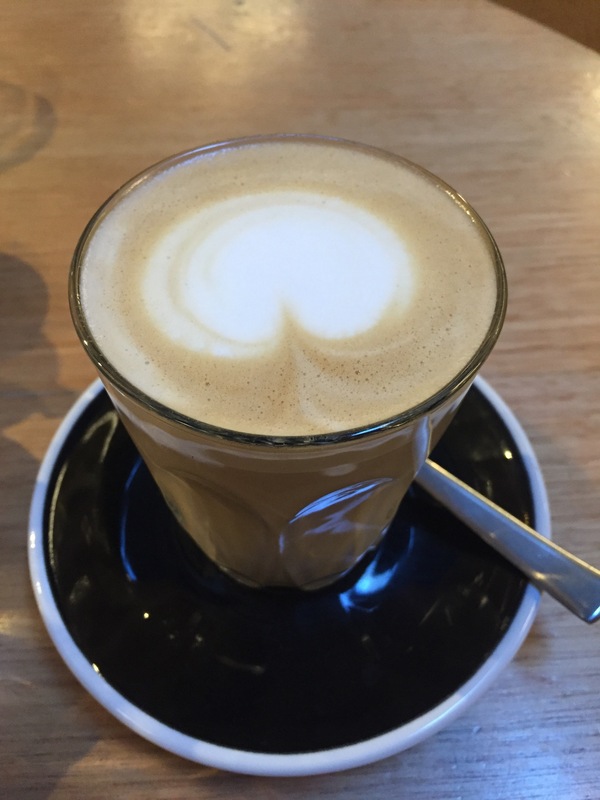 Our coffee was rich and creamy, served at the perfect drinking temperature at the table. Our takeaway was just as good, and we would be happy to say it passes our second coffee test! The menu was small but there was also the selections at the counter. 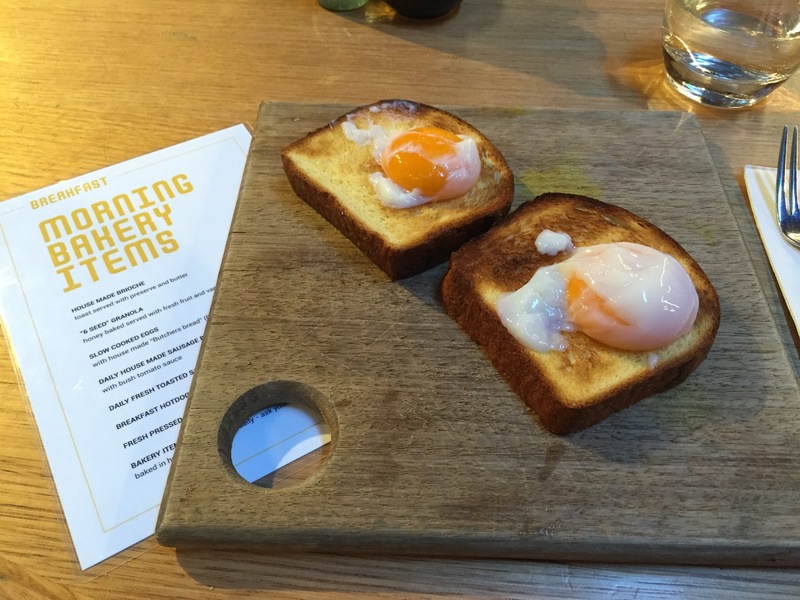 The first of our dishes to arrive was the butcher bread with slow cooked eggs. Honestly we weren’t sure what made butcher bread different from a brioche, but it was nonetheless delicious, buttery with a crispy crust, perfect with the gooey yolk. The egg was what you want from a slow cook, oozey, but not runny, with a rich flavourful yolk. Both the bread and the egg were strong and rich but needed nothing more and really complimented each other. The next dish we ordered took a very long time to arrive, but was so delicious it was hard to feel anything but excitement. 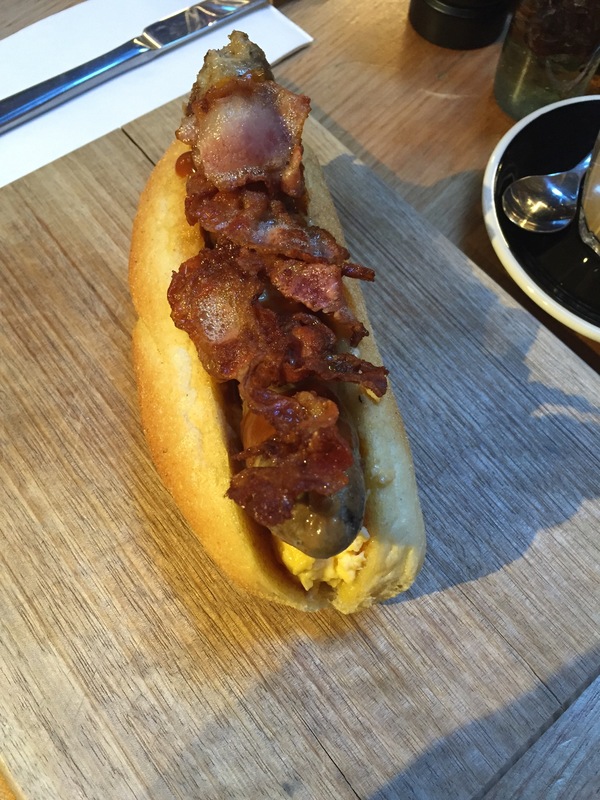 The breakfast hot dog was all we could have hoped for. 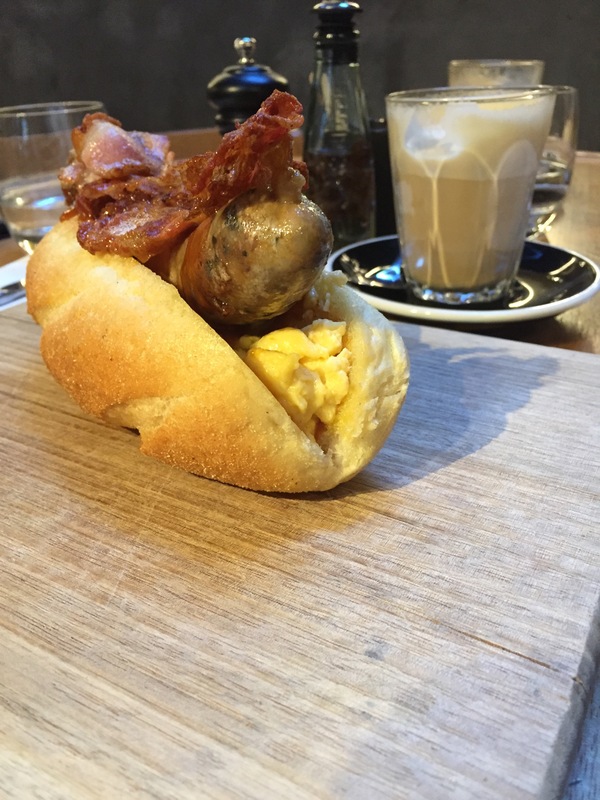 Creamy scrambled eggs and a monstrous sausage, topped with crispy bacon. The whole thing was drizzled with a smokey BBQ sauce. This was filling, with all the things that you associate with breakfast, fresh bread, bacon, eggs and sausage. A delicious way to start our day. 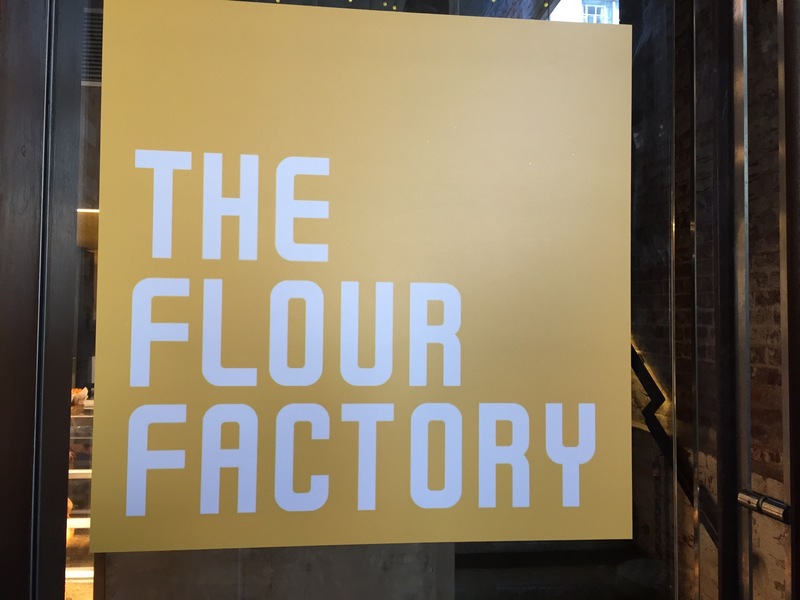 Flour Factory are open all day and we look forward to heading back for dinner soon!